Simple Walk: In the parallel system (eg. lead steps with right foot, follower steps with left foot) Leads should be walking straight in front of the space that the Follower leaves when she steps back. The positioning of your foot will dictate where your upper body will be at the end of the step, so if you step on a diagonal when walking forward, you will either pull your partner off axis or make her walk like a “cowgirl” (as we call it) or end up in the middle of the dance floor. My Advise? Walk straight as an arrow. The straight-er you both walk, the more balanced you both will be. 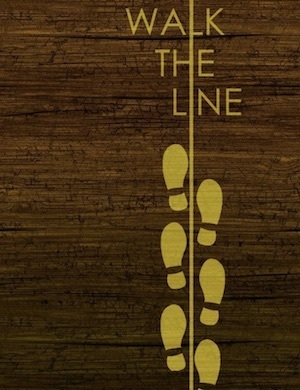 Draw an imaginary line and make that line be the center as you move forward. Don’t forget to lead with intention. Followers, don’t take the intention alone to move your upper body away from the lead. The intention is for the projection of your foot.